I’ve been thinking about when was the first time I tried a date and I think it was when I had this appetizer for the first time years ago. For some crazy reason I thought it was a prune but turned out, it was a date. I still remember that day because I could not stop eating them. And why not fall in love with something that has an almond inside? Delicious! A sweet date in the middle? Yummy! And then it’s wrapped in bacon? Whaaat?! Mmm… Hmm… Who can stop eating that? 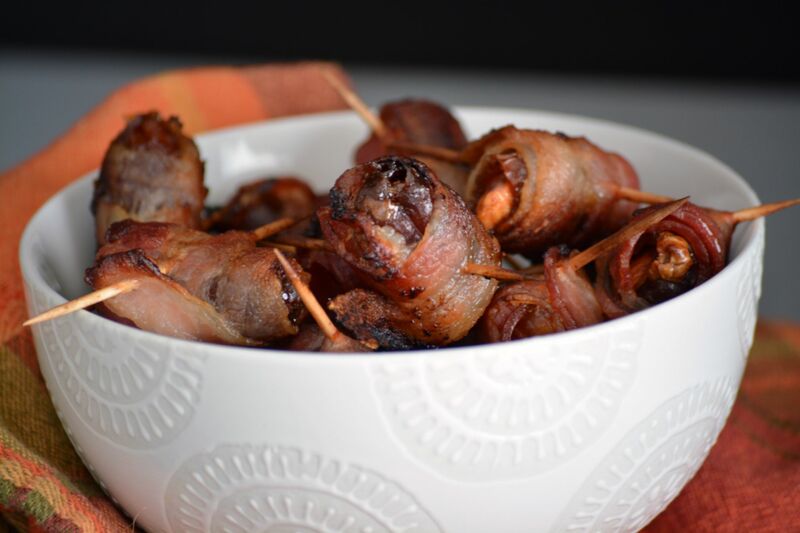 If you’re planning on having people come over during the holidays, this is a great appetizer to serve during your party. You can put everything together in a few minutes and they’re all going to love them! Pre-heat oven to 425ºF (220ºC). Cut each slice of bacon in half crosswise. 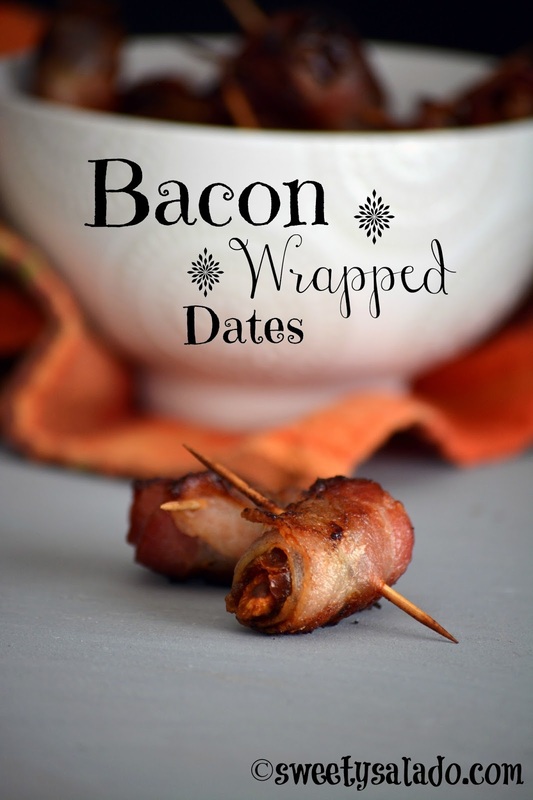 Insert 1 or 2 almonds into each date and then wrap each date with a piece of bacon. Secure with a toothpick and place on a baking sheet. You can line your baking sheet with non-stick aluminum foil. Bake for 7-8 minutes, flip each date over, then bake for an additional 7-8 minutes, 15 minutes total. Serve immediately.